With preliminary results in Wednesday’s provincial elections now being slowly confirmed, Thierry Baudet’s Forum voor Democratie is officially the biggest party in the province of Noord-Holland. Forum polled just 1,300 more votes than GroenLinks, the election authority said on Friday. The VVD is in third place, but all three parties will have nine seats on the 55-strong provincial council. In line with developments elsewhere, the big losers in Noord-Holland were the Socialists, D66 and the anti-immigration PVV, all of which lost three seats. Nevertheless, D66 remains in fourth place with six provincial councillors. Forum’s strong performance in Noord Holland comes despite the party’s poor showing in Amsterdam, where it came in sixth, behind the pro-animal Party voor de Dieren. The news from Noord-Holland means the right-wing nationalists will take the lead in negotiating provincial coalitions in three regions: Noord-Holland, Zuid-Holland and Flevoland. 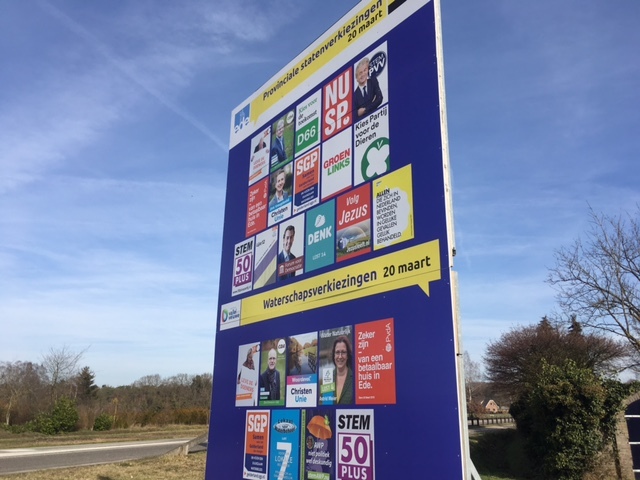 The CDA will take the lead in the negotiations in four provinces: Limburg, Zeeland, Friesland and Overijssel while the VVD are at the helm in Noord-Brabant and Gelderland. GroenLinks is the biggest party in both the city and province of Utrecht and Labour topped the polls in Groningen and Drenthe. The fragmentation in the Dutch political landscape means at least four parties will be needed to form a coalition in all 12 provinces.